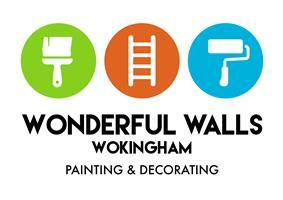 Wonderful Walls Wokingham Painting & Decorating - Painter/Decorator based in Wokingham, Berkshire. Hi, I specialise in providing a quality painting and decorating bespoke service to your home or office. Following a career in Health and Social Care services I built on my experience of decorating hundreds of houses into a thriving business and I have now been painting for many years and achieved high levels of customer satisfaction. I am a trustworthy tradesman who offers exceptional value for an exceptional finish.